Beyond the big cities of Brussels and Bruges, Belgium is home to a scattering of scenic small towns. We take in 1o of the country’s most beautiful urban spaces from Durbuy, the smallest town in the world, to Dinant, the fairytale town on the Meuse River. Undoubtedly one of the most picturesque towns in Belgium’s Wallonia region, the winding river valley and beautiful buildings of Dinant look like they are straight out of a fairytale. Nestled in a cliff face on the Meuse River, the picture-perfect town dates back to the Middle Ages. Dinant is also known as the hometown of Belgium’s most famous beer, Leffe, and the birthplace of Adolphe Sax, inventor of the saxophone. Located on the outskirts of Bruges, the beautiful medieval port town of Damme rests on the banks of Damse Vaart, a scenic, tree-lined canal that flows through town and continues into the neighboring Netherlands. Quite the ‘literary town’, Damme is home to a monthly book market and a number of bookshops and notable residents include Jacob van Maerlant, a 13th century Flemish poet whose statue is in the town square. 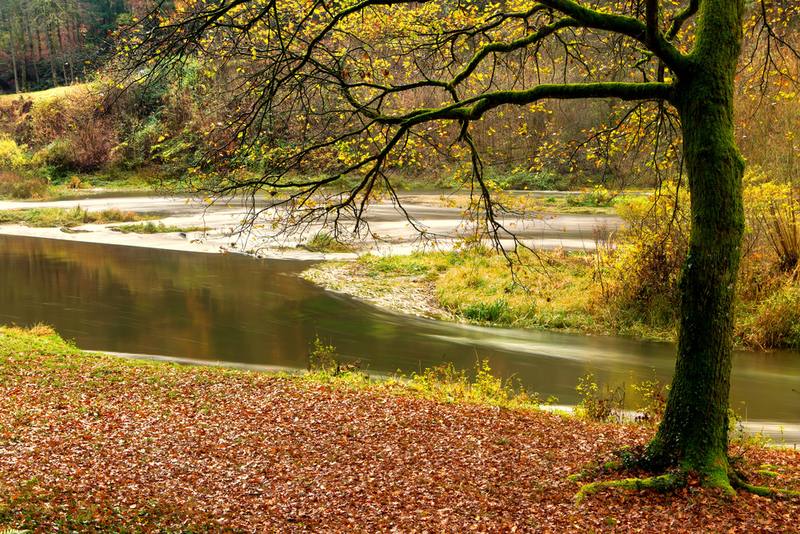 Nestled amid the rolling hills and verdant forests of the Belgian Ardennes, Spa is the location of warm spring waters whose healing powers have seen people flock to the area since the 1st century. 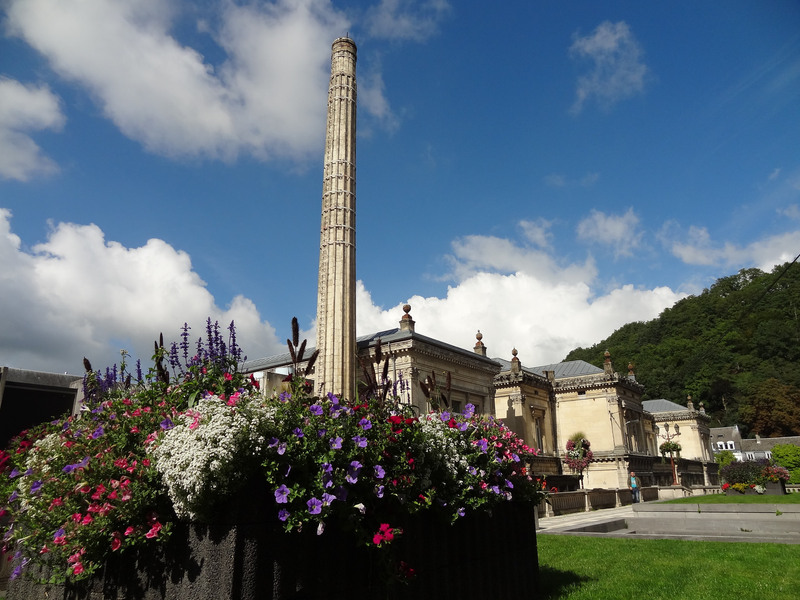 Often called the ‘Pearl of the Ardennes’, Spa became a haven for intellectuals in the 19th century, with literary greats including Victor Hugo and Alexandre Dumas said to have sought sanctuary here earning the town the nickname ‘Café of Europe’. Sitting on the banks of the Semois River just a few miles from the border with France, Bouillon is famed for its imposing castle located on a rocky bend in the river overlooking the town. Parts of the castle date back as far as the 8th century. 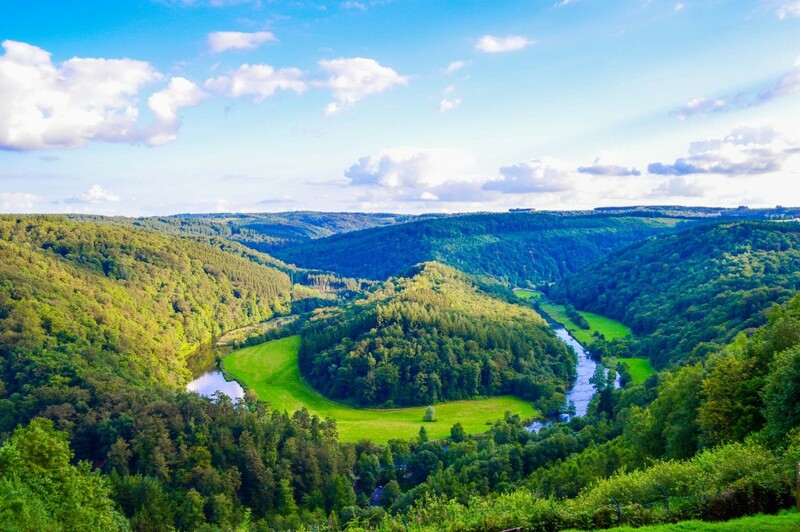 Beyond Château de Bouillon, miles of footpaths allow visitors to explore the lush forests of the Semois Valley. Voted one of Flanders’ most beautiful villages, the town of De Haan is one of the Belgian coastline’s most scenic spots. While parts of De Haan date back to the Middle Ages, much of the town today was formed when King Leopold II commissioned the construction of the resort town in the late 19th century. De Haan’s meandering streets are filled with beautiful Belle Époque buildings and the town was once home to Albert Einstein who lived there for a number of months before emigrating to the USA. 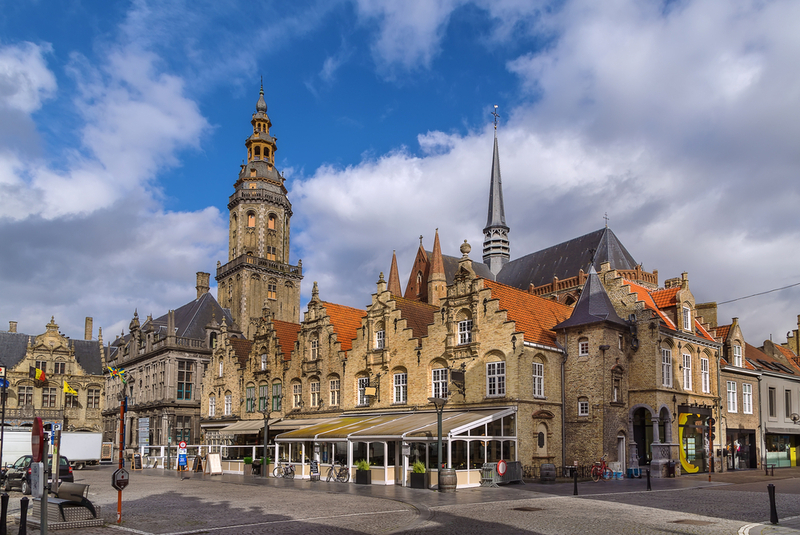 Located in rural West Flanders, Veurne is an idyllic market town whose stunning buildings have made it a must-see in Belgium for architecture buffs. Grote Markt, the town square, is the main hub of Veurne and home to many of its signature sights from the town hall. Behind Grote Markt, located in the small and pretty Walburga Park, is the impressive St. Walburga Church, parts of which date back to the late Middle Ages. In the heart of Wallonia lies chocolate-box Durbuy; a Belgian Ardennes town that claims to be the smallest town in the world, and with its charming architecture and winding cobbled streets, one of the most beautiful too. 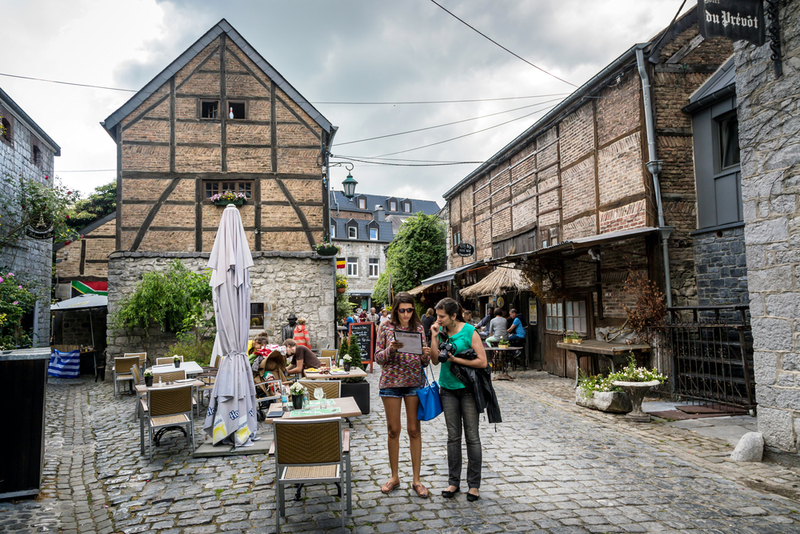 A walk through Durbuy’s streets reveals quaint shops and plenty of opportunities to sample a Belgian beer or two. 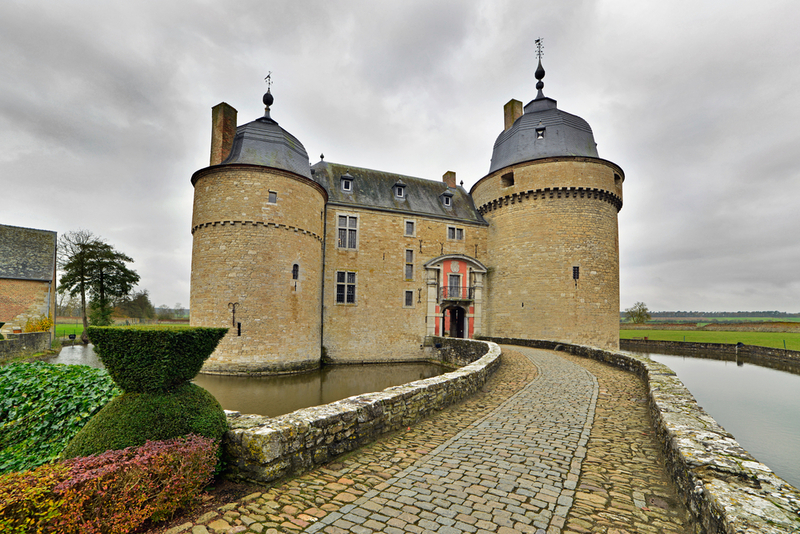 Look up on banks of the Ourthe River and you’ll see the stately 17th century Durbuy Castle. A pastoral idyll on the banks of the River Lomme, Rochefort is a medieval town that has retained much of its beauty and charm, despite being the site of frequent conflicts, notably during the French Revolution and Second World War. Rochefort’s Rue de Behogne is the main hive of activity in town and leads up to the ruins of Chateau Comtal, a medieval hilltop castle. Ale fans will delight in Rochefort’s rich brewing history; beer has been brewed in town since as early as 1595 and Rochefort is renowned for its Trappist beer. 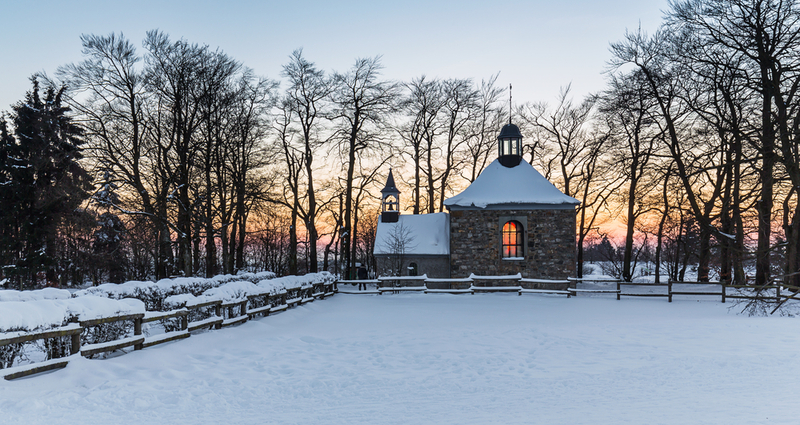 Not far from the border with Germany lies Malmedy, a lovely town dating back to the early medieval period that has maintained its charm and a number of historic buildings including the beautiful Cathedral of Malmedy, built in the 1770s. Cwarmê; a four-day festival held during Carnival and hosted in town for centuries, is one of Belgium’s best-known festivals and a must-do while in Malmedy. Belgium’s southernmost town Torgny is located in Gaume and thus enjoys a much warmer climate than the country’s northern reaches. The picturesque village is widely considered one of the most beautiful towns in Wallonia, and its location on the banks of the charming Chiers River, as well as its winding streets and pretty houses topped with Roman tiles make it a romantic destination.